After three album of ambient, sometimes experimental, jazz fusion music in "Caravanserai", "Welcome" and "Borboletta", Santana, now with only Carlos Santana and bassist David Brown (it would be his final album) left from the original line-up, reverted to a more poppy, far more Latin-influenced sound that recalled the great days of "Santana III". The album is certainly their most instantly accessible since then, but probably not the best. It was definitely a turning point in that it marked a rebirth of Latin sounds in the group's music, which had been somewhat hidden by jazzy, funk sounds on the previous three albums. For many it was a welcome return to the Latin grooves which had attracted them to Santana in the first place. The albums seven tracks contain some lengthy workouts, beginning with the toe-tapping "Dance Sister Dance (Baila Mi Hermana)". Carlos Santana's guitar is well to the fore, over the captivating salsa-style rhythms. It gets a bit ambient for the last two minutes or so, as if they couldn't completely give up that stuff. "Take Me With You" is a lively, organ-driven, Latin percussion meets prog-rock doodling instrumental. Half way through you get a delicious slowed-down bass and guitar passage. The track then meanders gently to its end, guided there by Santana's trademark guitar. "Let Me" is a funky, upbeat number with some lively vocals and a groove that brings to mind Tower Of Power in places. The old "side two " begins with "Gitano" (it means Gypsy in Spanish) which starts with some Mexican acoustic guitar before bursting into a wonderful Latin rhythm, complete with Spanish lyrics. It sounds like something from the salsa clubs of Havana. This sort of overtly Latin material was an attempt to win back old fans and halt the band's commercial slide that the ambient, jazzy stuff had brought, however good it might have been. You wouldn't have got anything like this on "Caravanserai", for example. The track doesn't let up from beginning to end and is a breath of warm Latin air. "Tell Me Are You Tired" is a beautiful slice of Santana soul, with a sumptuous bass line and excellent vocals from new vocalist Greg Walker. After a minute or so, it kicks into some serious funk/rock before reverting back to the deep, warm soul it began with. 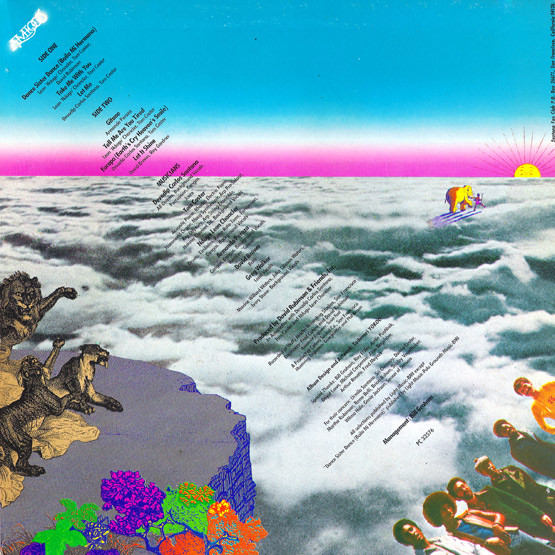 "Europa (Earth's Cry, Heaven's Smile)" reprised that distinctive "Samba Pa Ti" guitar sound that was so popular and it gained some fresh chart success for the group, at last. It is a wonderful, evocative piece, with Santana's guitar peerless and the guitar/bass/rhythm interplay in the last third of the song is totally sublime. A funky wah-wah guitar introduces the infectious "Let It Shine", which also had some success as a single. It has a thumping bass sound, some European-sounding keyboard riffs and a funky vocal. It is a beguiling song, with hidden depths. 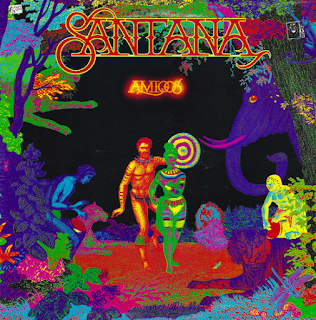 While I enjoyed the more experimental, jazz fusion albums, to a great extent, I also feel there was something inherently Santana about this album. It had a vibrancy that those albums did not have, despite their good points. It is far more of a commercial album, comparatively. Oh look, I like all of them, but this is the more instant, uplifting listen. Maybe this because I am listening to it after the rewarding, but challenging, tones of "Welcome".